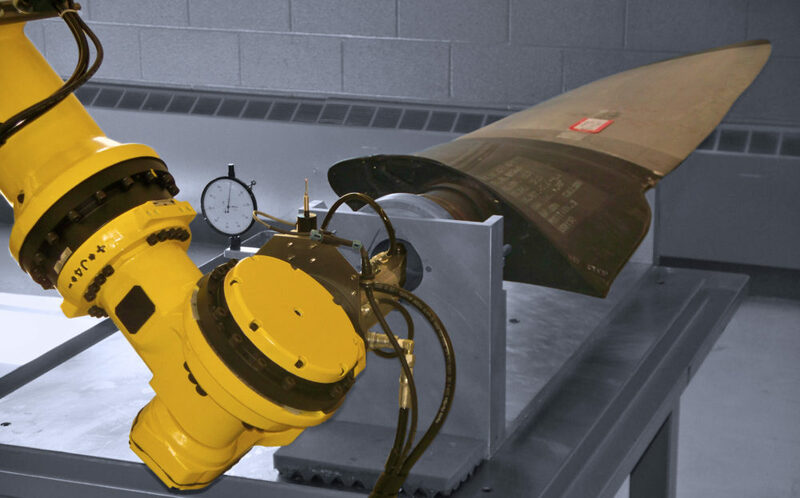 Low plasticity burnishing is a patented, proven surface treatment used to improve damage tolerance, High-Cycle Fatigue (HCF), and Stress Corrosion Cracking (SCC). This metal improvement technique was first used in applications in 1996 by Lambda Technologies and has been in commercial production since 2004. It is available through Lambda Technologies, industrial OEM’s and select third party providers. The LPB® process can be performed during initial manufacture or during maintenance and repair operations. Low plasticity burnishing is a practical, cost-effective, shop floor logistically compatible process that provides reliable performance improvement without altering either the material or design. 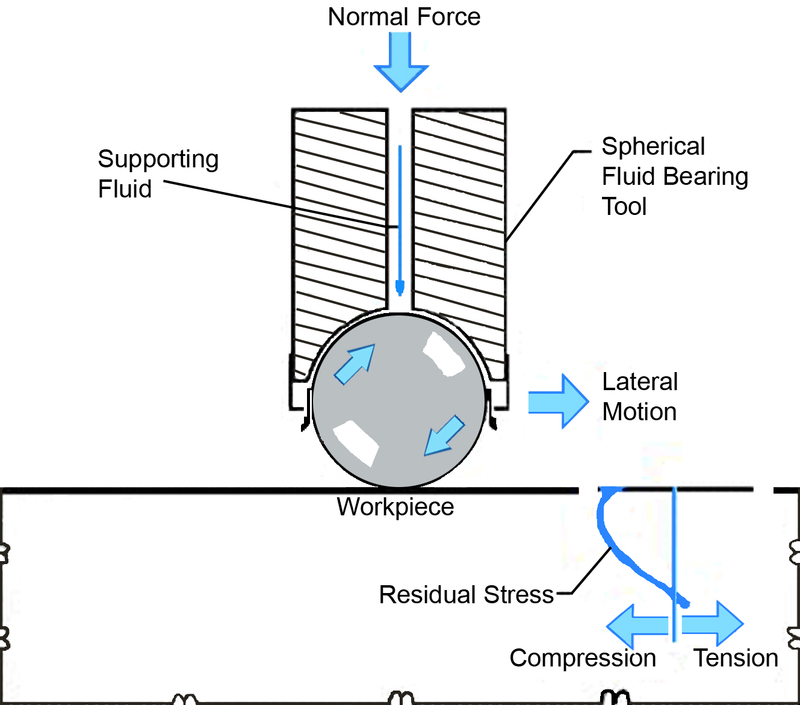 The Low plasticity burnishing (LPB®) process differs from conventional surface treatment methods by imparting the minimal amount of plastic deformation (or “cold working”) needed to create the necessary level of residual stress to improve damage tolerance and fatigue or stress corrosion performance. Low cold working provides both thermal and mechanical stability of the beneficial compression. LPB® uses a patented constant volume hydrostatic tool design to “float” the burnishing ball continuously during operation, regardless of the force applied. This provides practically infinite tool life and eliminates the possibility of dragging the ball and damaging the surface. 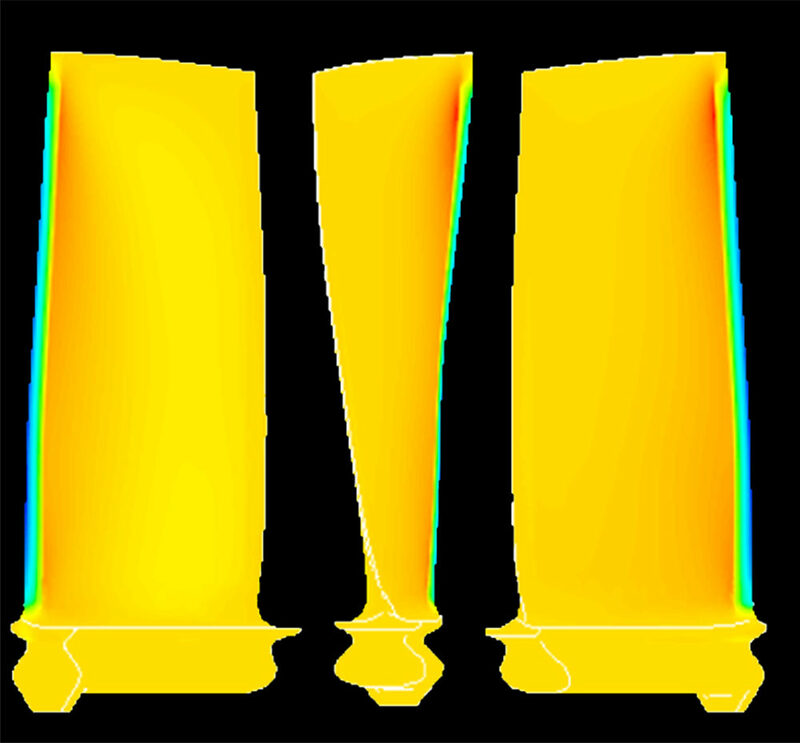 LPB® application produces a depth of compression ranging from a few thousandths of an inch (comparable to shot peening) to over a full centimeter. For components like turbine blade edges, special tools are used to provide through-thickness compression. Wheel-type tools are also available for tight radii and restricted geometries, such as splines and fillets. LPB® applications have been developed for the mitigation of fretting and improving damage tolerance in turbine engines (see our Technical Papers and Application Notes). 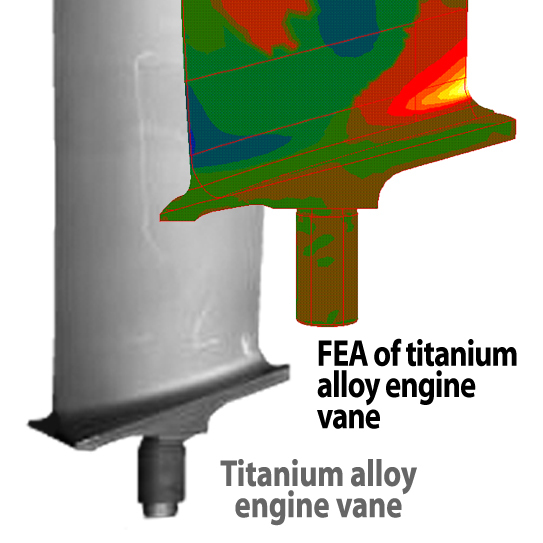 Corrosion pitting, SCC, stress concentrations, and Foreign Object Damage (FOD) mitigation have been addressed in structural aluminum airframes. Prevention of SCC in both high strength landing gear steel and welds in austenitic stainless steels have been achieved through LPB®. Current LPB®production applications range from turbine engine vanes and blades (both airborne and ground-based), propellers, propeller hubs, landing gear, to welded nuclear components and medical implants. The LPB® application process can be easily integrated into the aerospace, military, medical, power generation, and oil industries. 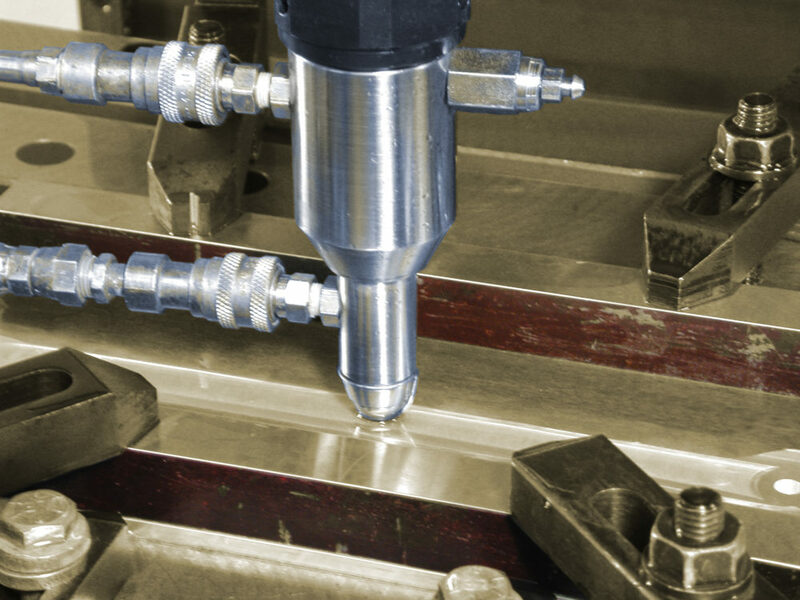 LPB® is unique among surface enhancement processes in that the force applied to the tool is synchronized with the numerically controlled tool positioning, using either CNC machine tools or industrial robots. The low plasticity burnishing process is a highly repeatable surface treatment. The burnishing force can be synchronized to the tool positioning within milliseconds, producing unprecedented definition of the residual stress distribution produced. Combining the CNC control with Lambda’s patented design method allows the creation of the designed optimum residual stress distribution required for the application. LPB® has low capitalization costs. As a result of the highly automated design, the LPB® application requires minimal operator intervention and allows fewer chances for human error. Low plasticity burnishing is easily performed on the shop floor, requiring no specialized or remote facilities. 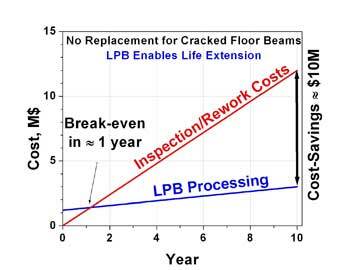 LPB® causes no surface damage. 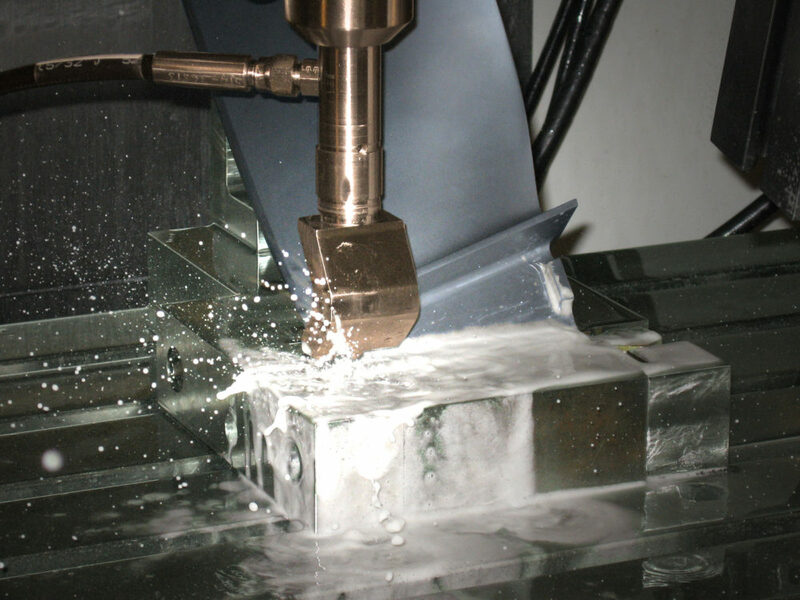 Other treatments, like certain forms of laser shocking or shot peening, require machining after processing to eliminate dents and restore the surface. Low plasticity burnishing leaves an improved, mirror-like surface finish on all processed parts. With minimal cold working involved, LPB® provides beneficial residual compression that is both thermally and mechanically stable in service. The Low plasticity burnishing process is applicable to arbitrary shapes and directions. LPB® leaves a deep compressive layer that ranges between 1 and 12mm. Low plasticity burnishing is a rapid process, with greater than 2000 sfm achieved in turning. LPB® has the ability to improve HCF and SCC or mitigate damage without changing the material or design of the component. 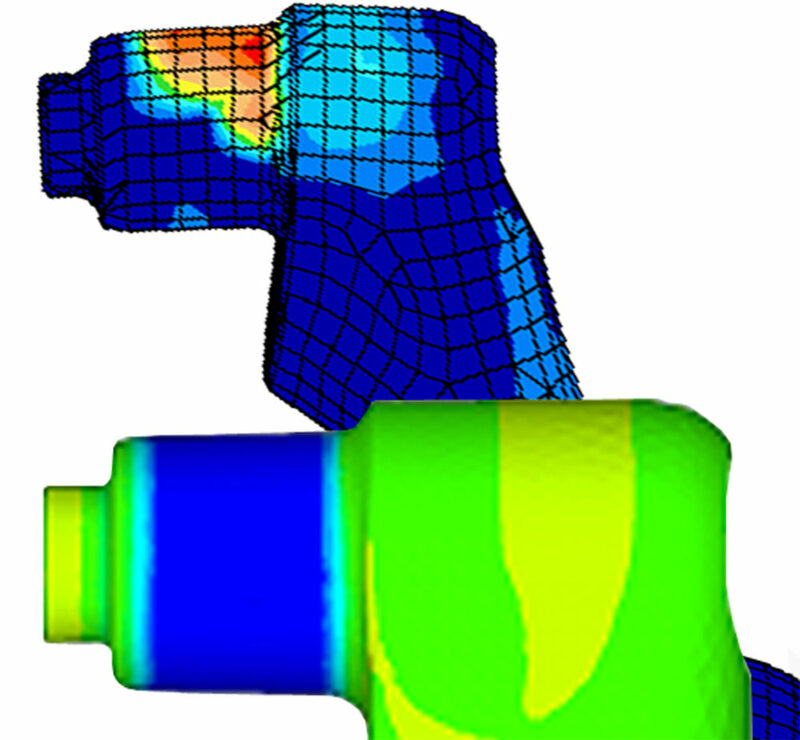 Lambda’s FDD method enables the design of the exact compression required for the component geometry, applied stress field, damage mechanism, and operating environment. Because the Low plasticity burnishing process cannot produce shock wave superposition, there is no possibility of internal fracture in any treated component. Because LPB® cannot produce heat, there is no possibility of surface burns and the resulting tension in treated parts. No surface coatings are required, so no debris is produced during treatment. Low plasticity burnishing requires only one processing cycle to achieve full depth of compression. LPB® is capable of achieving a greater depth and magnitude of compression greater than all other surface treatments (12 mm). 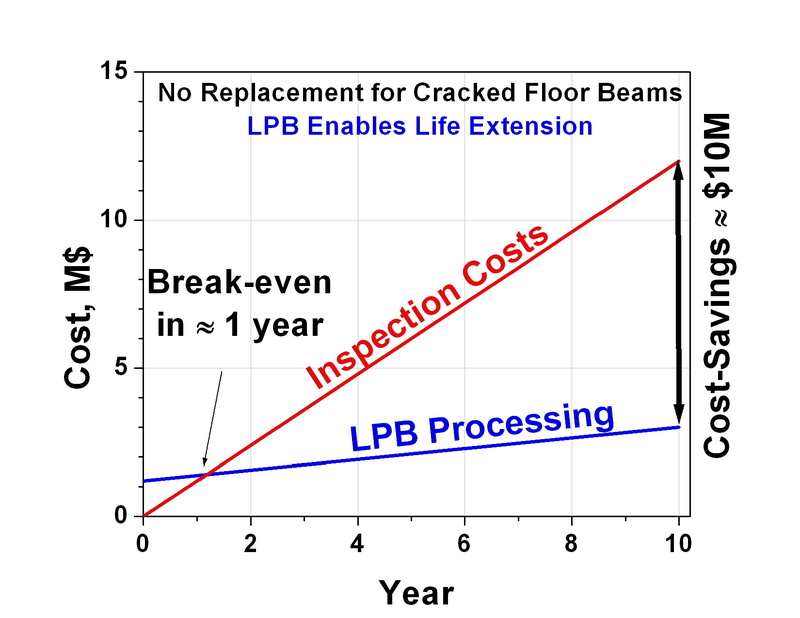 LPB® can reduce inspection requirements, achieving maximum safety at a minimal cost. Make stress work for you.™ Find out more about LPB® and how it can improve the life and performance of your critical components by calling (800) 883-0851 or contacting us by email here. LPB is a registered trademark of Surface Technology Holdings, Ltd.